The CLC’s Before & After School Program is for students in Kindergarten through 5th grade attending any of the Comstock elementary schools. 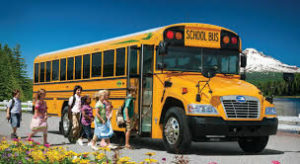 Busing is available between the CLC and Comstock Public Schools locations. Children and families benefit from our Before & After School Program in many ways. One of the most unique is the chance to meet peers from the other Comstock elementary schools. This allows friendships to be formed long before entering 4th through 8th grades. The CLC’s Before & After School Program provides for a smooth transition to our Summer Programs. For families requiring care through the summer months, children are already familiar with the CLC facility and staff. Because our Summer Program is curriculum-based, students also stay on academic track between school years. All care providers meet or exceed state licensing requirements for our program. Many have an Associate’s Degree or Bachelor’s Degree in education or are attending area colleges or universities in the field of education. Staff is also trained in CPR and First Aid, and participate in year-round staff development. Our staff-to-child ratio is 1:18.